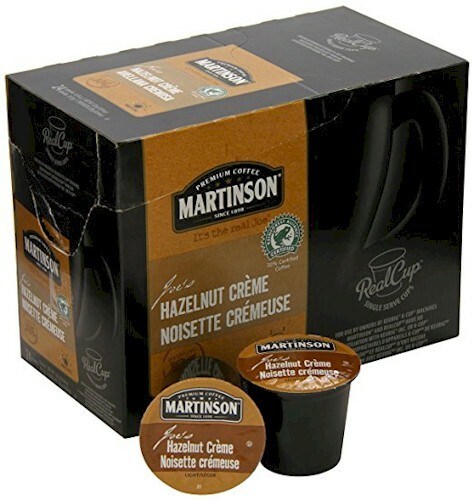 Amazon has got this 24-count Martinson Joe's Hazelnut Creme Coffee k-cups for as low as $9.51 shipped or 28 cents per k-cup, when you stack a high-value 30% off coupon with Subscribe & Save discounts. $10.23 - $3.61 coupon = $6.62 (or 28 cents per bar) with the Subscribe & Save 15% discount (if you can take delivery of 5 or more active subscriptions in one month). $11.44 - $3.61 coupon = $7.83 (or 32 cents per bar) with the standard Subscribe & Save 5% discount.